Two Figures in an Interior which sold as an aftersale at Rosebery’s Auction House in London has been identified as entitled “Reading” by Ian. 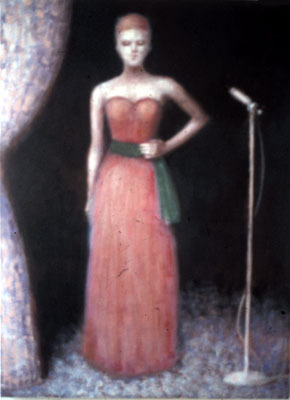 The painting was purchased in December 2008. 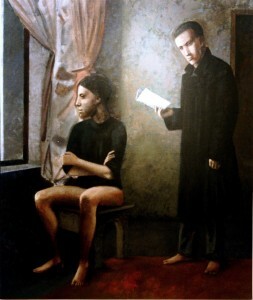 It is a large format painting from 1983 to 1984 and was originally sold during the Royal College of Art Degree Show in 1984.